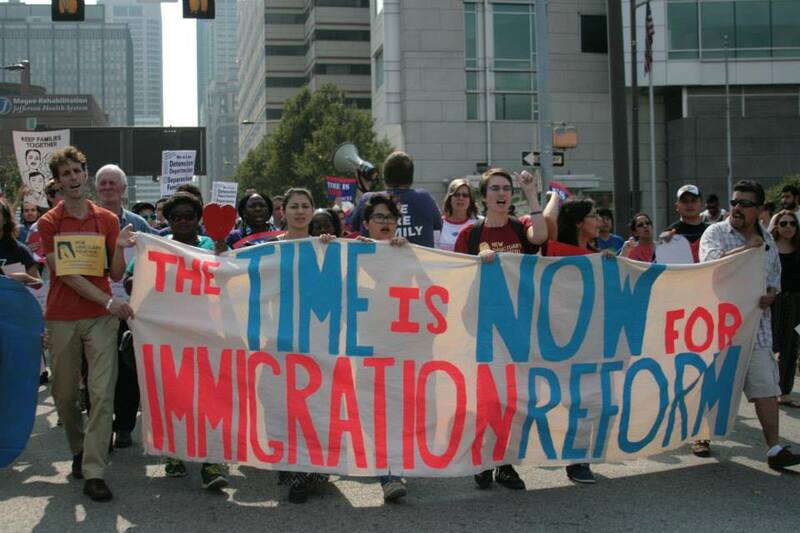 After President Obama’s Executive Action announcement in November 2014, the Center for Popular Democracy (CPD) jumped into action, setting up the Immigrant Justice Initiative, a network of 20 organizations in 12 states. 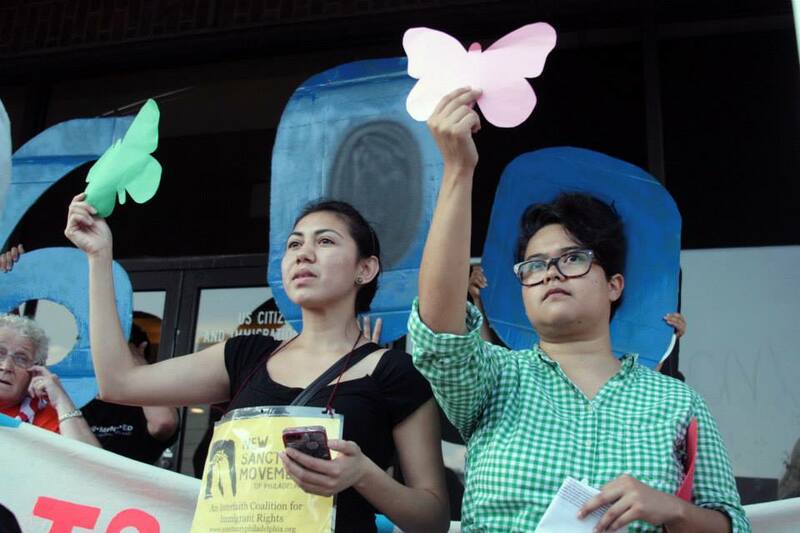 The Immigrant Justice Initiative builds a movement around new opportunities to stem deportations in our communities. 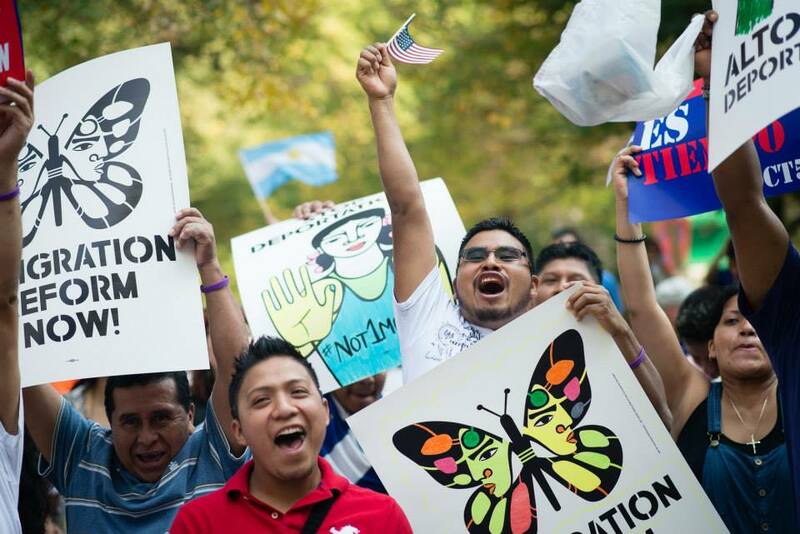 Deferred Action for Parent Accountability (DAPA) offers the opportunity for millions of immigrants to stay in the country with their children and families legally and to fight for more permanent immigration reform. 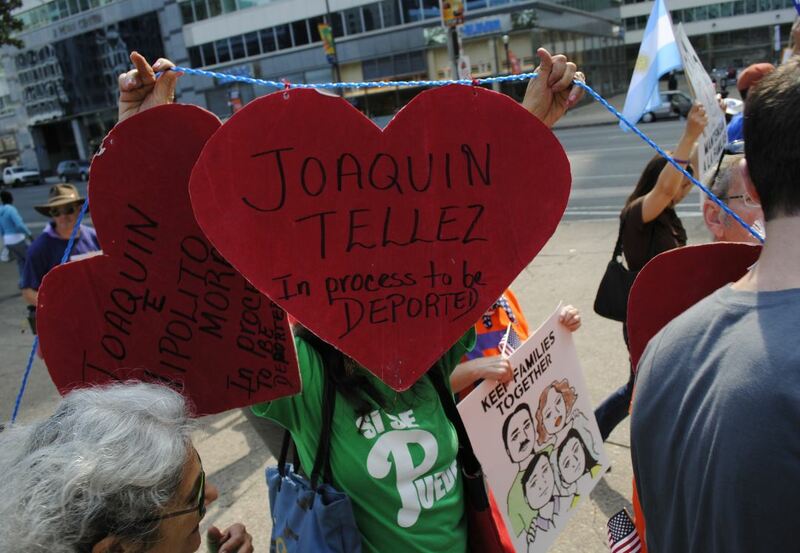 With the implementation of DAPA caught up in the courts, the result of a spurious lawsuit filed by Texas and other states, CPD is working with our allies to organize and fight to defend DAPA. We are building a base of support through partner outreach, services, and engagement, ensuring that thousands of people will be ready for DAPA and banging on the doors of the federal government for recognition. Our efforts will help keep immigration reform top on the minds of presidential candidates and make sure that the Executive Order gets fully implemented as soon as possible. CPD launched a massive outreach and services operation in September 2015, using a customized mobile application ¡Alcance! (link to web page) to gather information and sign community members up for screening workshops to qualify for DAPA, DACA, and other opportunities. Partners in Texas, California, New York and other states with large immigrant populations plan to reach tens of thousands of families with their outreach, screening, and document preparation. We encourage organizations interested in using ¡Alcance! to reach their constituencies to visit the homepage and submit a request for more information. 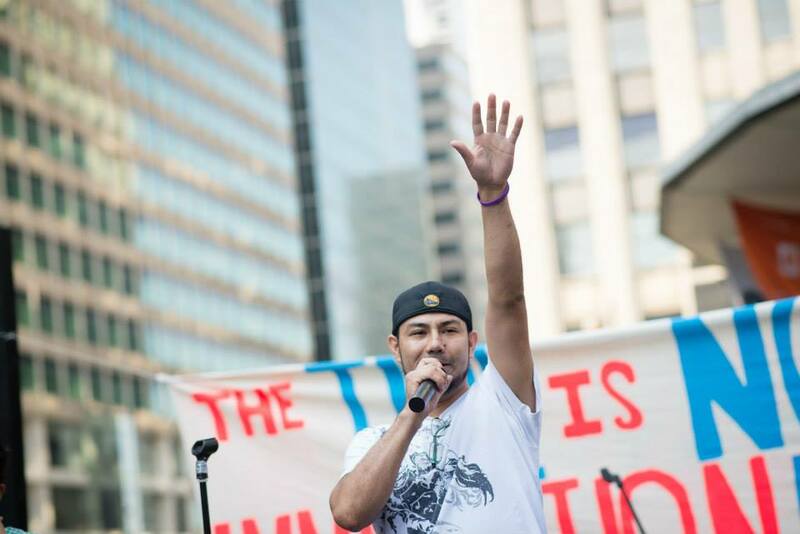 The Immigrant Justice Initiative’s organizing and services model provides quality legal services even as they build their organizations’ membership, their organizing power, and the immigrant rights movement as a whole. 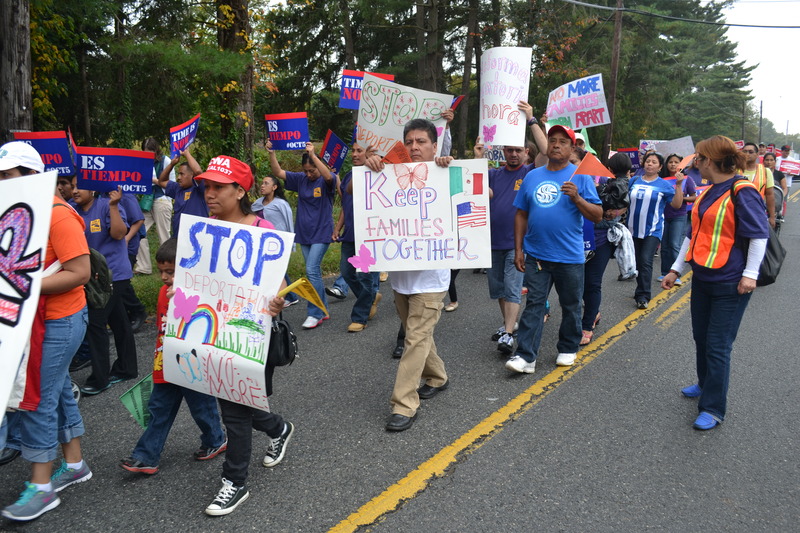 Some of our current partners working on Executive Action include Texas Organizing Project, Workers Defense Project, ACCE, Working Partnerships USA, Make the Road Pennsylvania, Make the Road New York, Make the Road New Jersey, CASA in Pennsylvania, and Olé. Even with DAPA on hold, immigrant families are finding that there are ways to get relief—and in some cases, once they are screened by professionals in our partner organizations, can gain permanent status and citizenship. DACA, the program for U.S.-born children of undocumented parents, has already helped 700,000 people find temporary relief. Up to 15 percent of the families coming in for screening are finding that someone in their family may qualify for DACA, refugee status, or naturalization. Research shows that the implementation of commonsense immigration reform would lead to $1.5 trillion in economic growth, 900,000 new jobs, and $5.4 billion in increased revenues. House Dems hold presser to cut funding for "